Credit: ESA/Hubble & NASA, S. Larsen et al. Globular clusters like NGC 2419, visible in this image taken with the NASA/ESA Hubble Space Telescope, are not only beautiful, but also fascinating. They are spherical groups of stars which orbit the centre of a galaxy; in the case of NGC 2419, that galaxy is the Milky Way. NGC 2419 can be found around 300000 light-years from the Solar System, in the constellation Lynx (the Lynx). 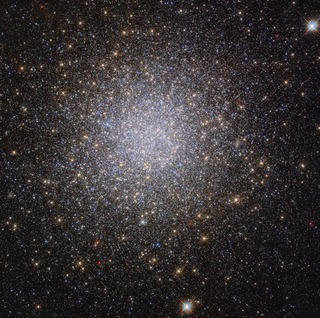 The stars populating globular clusters are very similar to one another, with similar properties such as metallicity. The similarity of these stellar doppelgngers is due to their formation early in the history of the galaxy. As the stars in a globular cluster all formed at around the same time, they tend to display reasonably homogeneous properties. 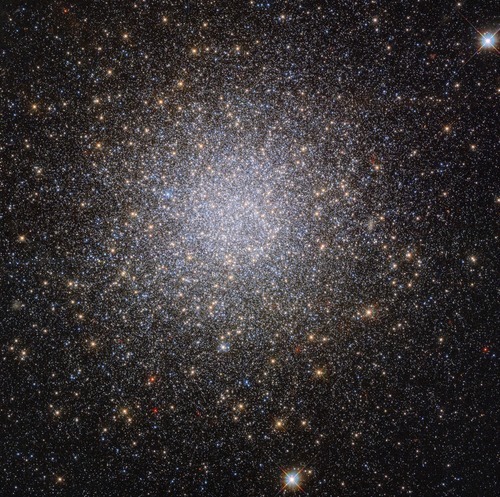 It was believed that this similarity also extended to the stellar helium content; that is, it was thought that all stars in a globular cluster would contain comparable amounts of helium. However, Hubbles observations of NGC 2419 have shown that this is not always the case. This surprising globular cluster turns out to be made up of two separate populations of red giant stars, one of which is unusually helium-rich. Other elements within the different stars in NGC 2419 vary too nitrogen in particular. On top of this, these helium-rich stars were found to be predominantly in the centre of the globular cluster, and to be rotating. 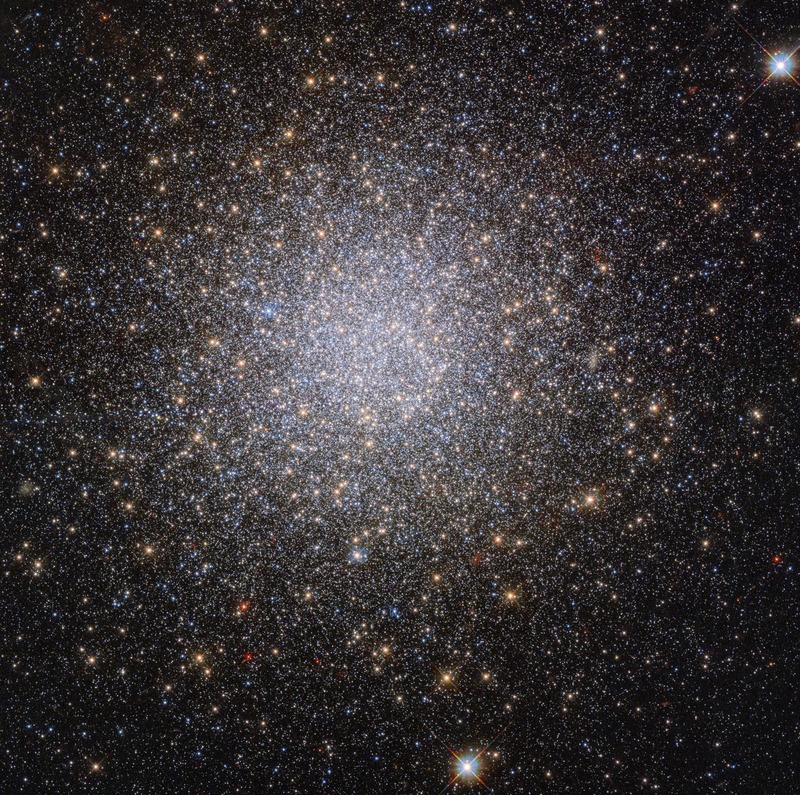 These observations have raised questions about the formation of globular clusters; did these two drastically different groups of stars form together? Or did this globular cluster come into being by a different route entirely? ESA/Hubble & NASA, S. Larsen et al.